If you find the story and you get enough details, you can tell a good story. There’s a great paradox with fiction. If I tried to write a novel in which I proposed that the daughter of the American ambassador was sleeping with the first chief of the Gestapo, no one would believe it. But because it happened—wow!—this is interesting. The difference between narrative nonfiction and other nonfiction (history, biography, politics, etc.) is that in narrative nonfiction the story is more important than the subject. I have zero interest in horse racing, for example, but I loved Laura Hillenbrand’s Seabiscuit. The best nonfiction writers transcend their subject matter to shape stories that read like novels. That said, there are some topics I find irresistible; here are some paperbacks, new and old, that kept me up late at night and that I think are perfect summer reading. The publication dates are the dates when the paperbacks were released; in many cases, the paperback editions include updated information as well as author interviews and discussion questions. 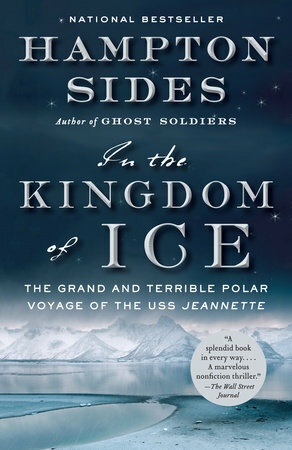 Like all the best narrative nonfiction books, In the Kingdom of Ice is much more than an enthralling account of historical events. Sides paints a detailed picture of post-Civil War society, when many young men who missed the opportunity to fight in the war were looking for opportunities to become heroes. His engaging, and often very funny, portrayal of newspaper titan James Gordon Bennett, Jr. (backer of the voyage), shows us the increasing role of the press. He covers Native American culture in the Arctic . . . the state of scientific and geographic knowledge in the Victorian era . . . and most of all, the enormous human capacity for courage and endurance. In 1961, the 23-year-old son of New York governor Nelson Rockefeller disappeared while traveling through New Guinea on an expedition to find art for his family’s Museum of Primitive Art. 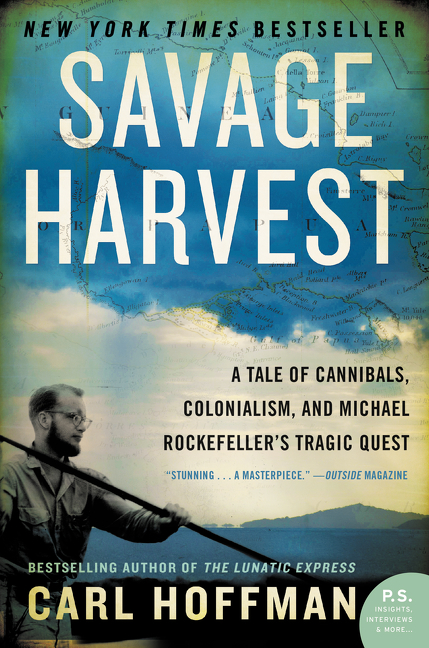 While his death was officially ruled a drowning, questions remain — and Carl Hoffman attempts to solve the 50-year-old mystery, delving into an investigation of the violent culture of the Asmat tribe. 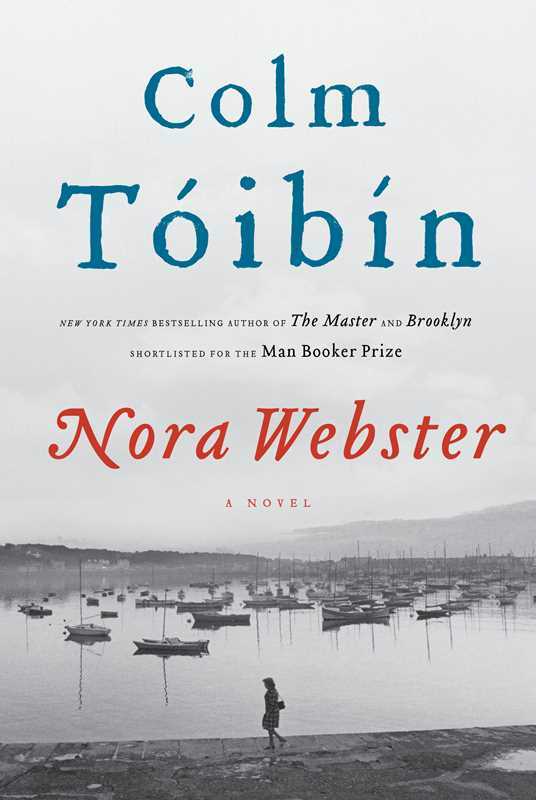 The New York Times calls the book a “taut thriller”, and it’s an apt description. Lost in Shangri-La, one of the best nonfiction page-turners I’ve ever read, is unusual in that one of the heroic survivors is a woman. A plane is shot down over the cannibal-infested jungles of New Guinea, with only three survivors, all of whom are injured. You rarely encounter a baffling title in narrative nonfiction. The subtitles almost always do a great job summarizing the book, although sometimes — as in this case — they sound a little unwieldy. (I think the reader should decide if the story is gripping, thank you.) The story is gripping, as promised in the subtitle, and interesting from a psychological point of view. What drove E. Forbes Smiley to destroy his career by becoming a thief? I’ll never get tired of recommending this book. Once again, the subtitle provides almost all the information you need to know before starting the book, but I’ll fill in the blanks by telling you that the “professor” is Dr. James Murray, editor of the Oxford English Dictionary, and the “madman” is Dr. William Minor, a Civil War veteran incarcerated in a mental hospital who is the dictionary’s most prolific contributor of definitions. The shocking ending of this book gives new meaning to the phrase “you can’t make this stuff up”. Robert Peace, a 2002 graduate of Yale and a product of inner-city Newark, was murdered at age 30 in a drug-related shooting. Hobbs, who was Peace’s roommate in college and who remained a close friend after graduation, has written one of the most thought-provoking books I’ve read in a long time. Why did Peace, a brilliant young man with a promising career in scientific research, succumb to the drug trade? Hobbs thoroughly and thoughtfully examines Peace’s life in all its complexity and contradictions, with the help of Peace’s family, friends, colleagues, and teachers. 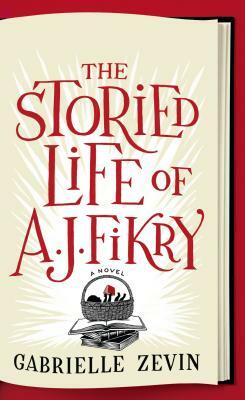 Pulitzer Prize winner Suskind follows teenager Cedric Jennings as he, with the help of his dedicated and hardworking mother, strives to succeed at a high school in one of the poorest neighborhoods in Washington, D.C. and later at Brown University. These gems from the 1950s have recently been reissued in paperback — I suspect because a collection of Jackson’s previously unpublished writings (Let Me Tell You) is being published in August. 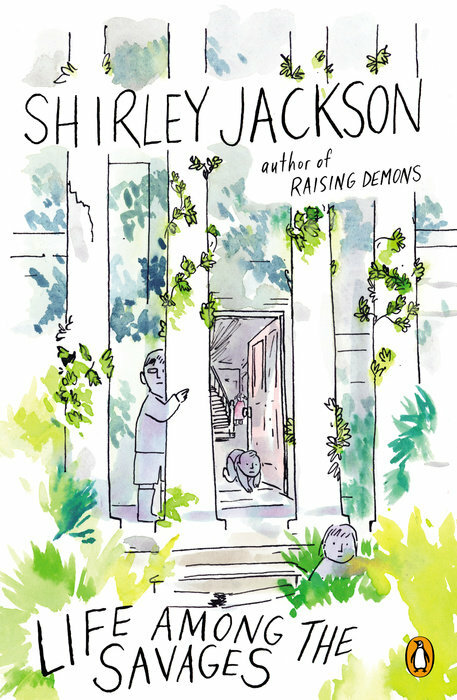 The humorous essays about family life in Raising Demons and Life Among the Savages are very different from the dark, sinister fiction for which Jackson is known. What are your favorite nonfiction books? This is the time of year when every publication, print or online, feels obligated to publish a “Best Books” of the year list. Every year, hundreds of thousands of books are published in the United States, so it seems like an impossible task for anyone to pick 10 of the “best” books. The New York Times publishes a list of 100 notable books, and then a couple of weeks later, announces the 10 best. 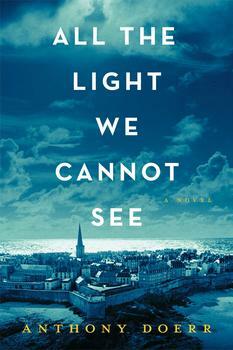 (I thought it was amusing that the Times initially gave All the Light We Cannot See, my favorite novel this year, a mediocre review back in May when it came out, but now has the book listed as one of its 10 Best). These year-end lists seem to make more sense with movies. I don’t know how many movies are released each year, but I would guess that a critic could manage to see most of them. Even if a critic read a book a day, he or she would still have read a tiny fraction of the books published by major publishers each year. It’s disheartening to think about how many brilliant books are published each year that fail to receive critical acclaim or even much readership. Authors seem to get grumpy about these lists. Ayelet Waldman, an author who is famous for airing her opinions on social media (her thoughts on the Kardashians: they are “vile scumbag pigs”), was disappointed that the New York Times didn’t include her well-reviewed novel, Love and Treasure, in its list of notable books. So she tweeted: “It’s just so f***ing demoralizing. You pour your heart into your work, you get awesome reviews, and then someone decides it’s not “notable.” I mean. Why do I bother? I could write a f***ing journal.” Charming . . .
Booksellers aren’t always crazy about ranking their favorite books. In a blog post titled Trying to Come Up With My Year’s Favorites, Daniel Goldin (Boswell and Company in Milwaukee) flatly states, “I hate making these sorts of lists.” Every year, the store publishes a year-end “Boswell Best” list, and Daniel says, “Every year, I am one of the last people to come up with my books, which sort of drives people crazy, but what can they do, as I always look very, very busy, and heck, I own the place.” Parnassus Books in Nashville (owned by author Ann Patchett) sidestepped the problem by asking 18 well-known authors what books they will be giving for the holidays this year (Writers to the Rescue: Your Favorite Authors Share Their Gift Lists.) I love that Héctor Tobar and Hampton Sides each recommend one another’s books, without knowing the other was being asked for a book recommendation. Still, the urge to create a list of favorite books can be irresistible. For what it’s worth, here’s a list of the books I loved the most this year. What do they all have in common? 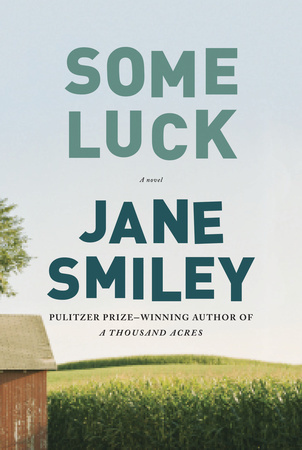 To quote Maureen Corrigan of NPR, “All of the disparate books on my list contain characters, scenes or voices that linger long past the last page of their stories.” I kept it to 10 (five nonfiction, five fiction) — unlike Corrigan, who included a dozen books on her list (Sometimes You Can’t Pick Just 10). Candidates for my list were books originally published in 2014, which eliminated some great books from 2013 (or earlier) that I read this year. 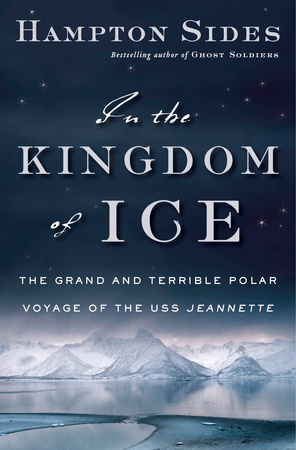 Like all the best narrative nonfiction books, In the Kingdom of Ice is much more than an enthralling account of a historical event. Sides paints a detailed picture of post-Civil War society, when many young men who missed the opportunity to fight in the war were looking for opportunities to become heroes. His engaging, and often very funny, portrayal of newspaper titan James Gordon Bennett, Jr. (backer of the voyage), shows us the increasing role of the press. He covers Native American culture in the Arctic . . . the state of scientific and geographic knowledge in the Victorian era . . . and most of all, the enormous human capacity for courage and endurance. A groundbreaking legal case and the latest scientific research on the brain and attention combine in this compulsively readable, multi-layered story about a devastating accident affecting several families and the perils of multitasking in today’s digital world. 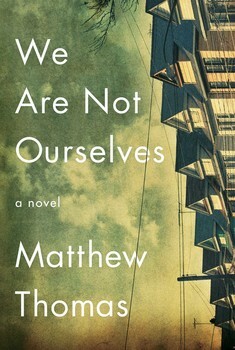 There are no villains in Pulitzer-Prize winning author Richtel’s moving account of a young man’s journey from what the New York Times describes as a “thoughtless, inadvertent killer to denier of his own culpability to one of the nation’s most powerful spokesmen on the dangers of texting while behind the wheel.” The book isn’t preachy by any means, but the message it delivers about distracted driving is lifesaving. I’m not sure if this is a self-help or a business book — at Lake Forest Book Store, we shelve it in the business section. Either way, these are categories I rarely explore. 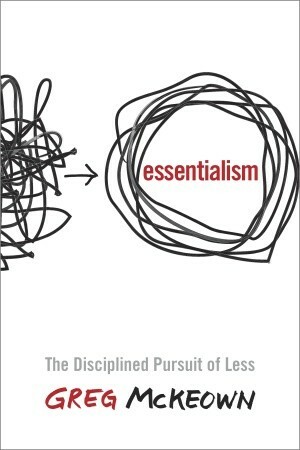 Essentialism really resonated with me; in fact, as soon as I finished it I ordered multiple copies for gifts. McKeown’s book shows us how to shape a life that is filled with meaningful activity. The book doesn’t advocate that we abandon our electronic devices, and it doesn’t provide tips for time management or organization. It’s a philosophical guide to setting priorities in life. It didn’t win the National Book Award, but can we hope for the Pulitzer? This is the only book I’ve ever jumped the gun on and reviewed on the blog before it was published, which I don’t think I’m supposed to do. It’s such an extraordinary book, I just couldn’t wait. A widowed bookseller has lost his zest for life — but his life changes when two things happen: he finds a baby on his doorstep and he falls in love with his sales rep. This wonderful book is a love letter to the book business, and to reading. I loved this book so much that as soon as I finished it I reread it. I don’t think I’ve ever done that before! It lives in a stack on my nightstand along with a few other very special books. A headstrong young woman disguises herself as a man, enlists in the Union Army, and follows her new husband into battle in this beautiful story of love and war. 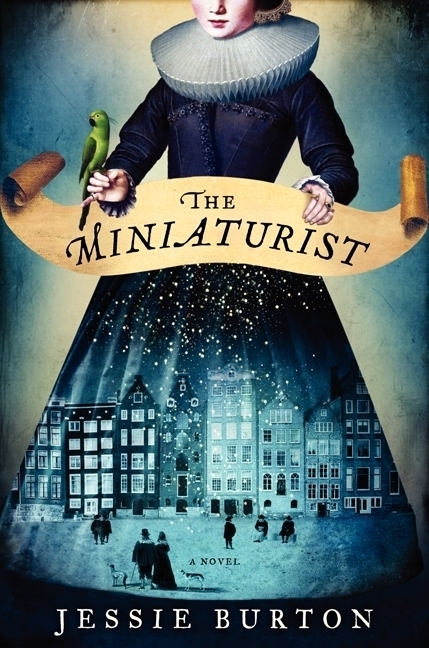 Based on letters written by Sarah Rosetta Wakeman, this is historical fiction at its best. 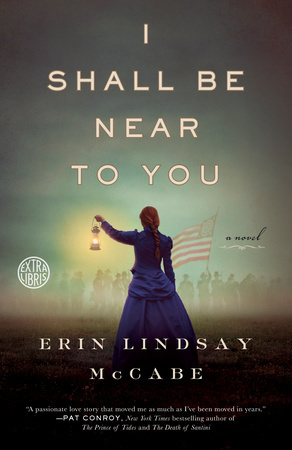 My husband (a Civil War buff) enjoyed I Shall Be Near to You as much as I did, and his usual taste in Civil War books runs to long, detailed biographies of Civil War generals. What books are in your top 10? What did you just finish reading? What are you currently reading? What do you think you’ll read next? 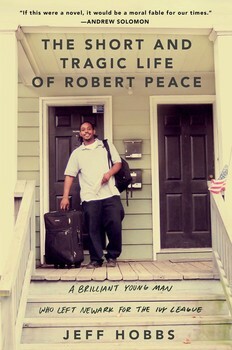 Last night, I finished The Short and Tragic Life of Robert Peace by Jeff Hobbs. It was a miserable,rainy day in Chicago, and I was lucky enough to spend most of the day reading. 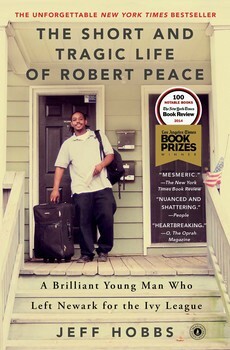 Robert Peace, a 2002 graduate of Yale and a product of inner-city Newark, was murdered at age 30 in a drug-related shooting. Hobbs, who was Peace’s roommate in college and who remained a close friend after graduation, has written one of the most thought-provoking books I’ve read in a long time. Why did Peace, a brilliant young man with a promising career in scientific research, succumb to the drug trade? Hobbs thoroughly and thoughtfully examines Peace’s life in all its complexity and contradictions, with the help of Peace’s family, friends, colleagues, and teachers. I can’t imagine a better book for book club discussions. 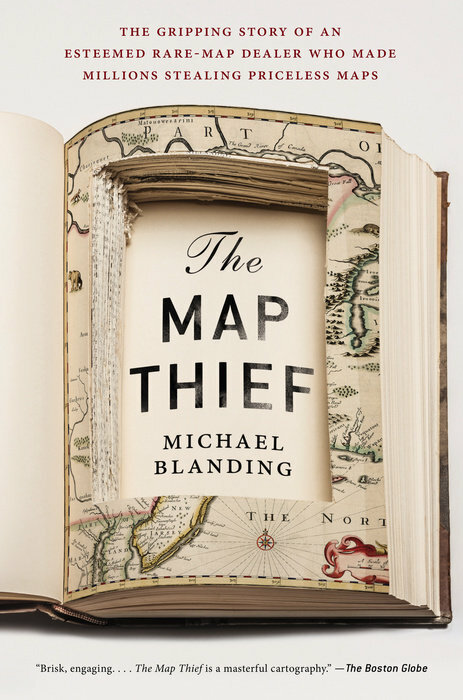 To learn more, read the excellent review in the New York Times. 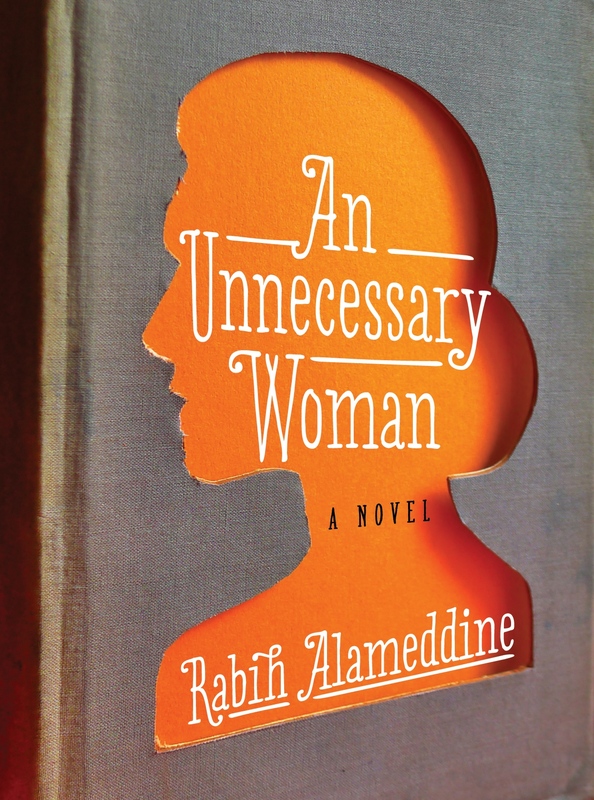 I’m reading two other books right now — An Unnecessary Woman by Rabih Alameddine (a finalist for the 2014 National Book Award) and Just Mercy by Bryan Stevenson. I always like to have at least two books in progress, one paper book and one e-book. I much prefer reading “real” books, but I love reading in bed, and in the interest of marital harmony, I stick to e-books late at night. I long ago abandoned myself to a blind lust for the written word. Literature is my sandbox. In it I play, build my forts and castles, spend glorious time. It is the world outside that gives me trouble. I have adapted tamely, though not conventionally, to this visible world so I can retreat without much inconvenience into my inner world of books. In an NPR interview, the author says the book asks this question:, “How do we balance an inner life with an outer life and how important is each?” I’m really savoring this book — although I’m still rooting for All the Light We Cannot See to win the National Book Award. Bryan Stevenson, author of Just Mercy, is the founder of the Equal Justice Initiative, a nonprofit organization that is dedicated to helping people who have been denied fair treatment in the justice system. One early review refers to Stevenson as a modern-day “Atticus Finch” — which is ironic, because Stevenson reminds us that Atticus Finch actually lost his case in To Kill a Mockingbird. I’ve just read the first couple of chapters, but I’m finding the book fascinating and eye-opening. What’s up next? My book club will be discussing Everything I Never Told You by Celeste Ng at our November meeting, and I can’t wait to start In the Kingdom of Ice by Hampton Sides. Jeff and I will both be reading that, because we have plans to get together with another couple and talk about it over dinner. What about you? What’s on your list? I can’t believe it’s already the last day of September. It’s been a glorious month here in Chicago, and I’m savoring every minute of the warmth and sunshine. For what it’s worth, the Farmers’ Almanac is predicting another frigid and snowy winter in the Midwest. All the more reason to have a pile of good books waiting to be read! Here are 10 books either just published or due to be published this fall to add to your list. Author Christie, a letterpress printer, contends that Gutenberg’s success was due to his gifted young apprentice, Peter Schoeffer. 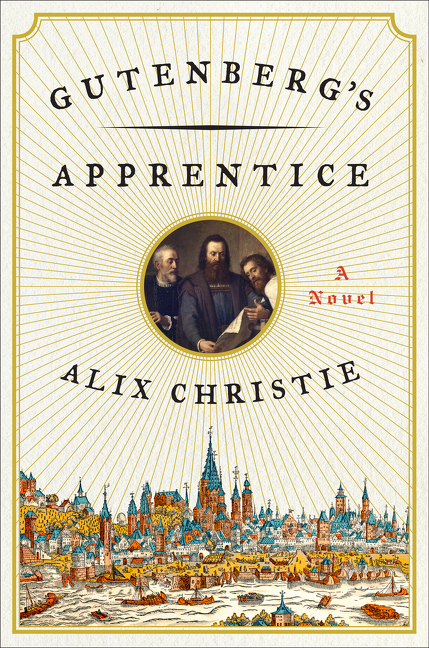 According to the New York Times, “Christie spotlights intriguing parallels between 15th-century Europe and the digital media of the 21st-century world.” As a lover of the printed page, I can’t wait to read this one. 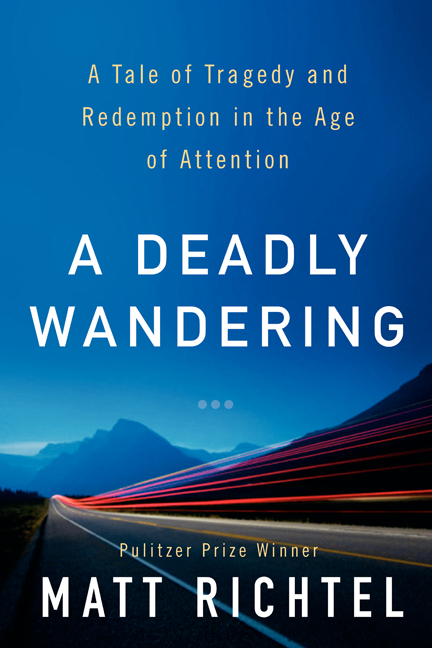 A groundbreaking legal case and the latest scientific research on the brain and attention combine in this compulsively readable page-turner about a devastating accident affecting several families and the perils of multitasking in today’s digital world. There are no villains in Pulitzer-Prize winning author Richtel’s moving story of heartbreak and healing. I can’t recommend this book strongly enough. The Art of Racing in the Rain is one of my favorite books, and I’ve been eagerly awaiting Stein’s new novel. This one is not narrated by a dog — instead, by a 14-year-old boy, Trevor Riddell. Trevor’s bankrupt, recently separated father brings him and his sister Serena to their grandfather’s mansion in order to move the old man to a nursing home and sell the property for much-needed cash. However, Trevor discovers that there may be a ghost in the house, and secrets in his family’s history, that will prevent his father from carrying out his plan. I’m in the middle of the book now, and loving it . . . and that is surprising, because I hate ghosts. If you’re in the mood for a good cry, this is the book for you. Two people have five days left with the people they love most. I can’t really tell you more than that, except that if you read it on public transportation, make sure you have some Kleenex handy. It will definitely get your book club talking, although if you are the one who recommends it, you may be accused of suggesting “depressing” reading material.